My book with peonies from our garden! I wrote a book! In keeping with my theme lately of not burying the lead, I figured I’d just go ahead and get it out there. I’m thrilled to finally share this news because my book has been a long time coming. I started this journey when I was pregnant with Babywoods 1 and the book will publish after Babywoods 2 is born! And what a wonderful journey it has been. Writing is my passion, it’s one of the things that brings profound happiness into my life, and I feel unendingly grateful that I get to do it for a living. I’ve always–truly, always–wanted to write a book and the fact that it finally happened is the realization of a major life goal and a childhood dream. Doesn’t hurt that it’s on my very favorite topic: frugality and financial independence! 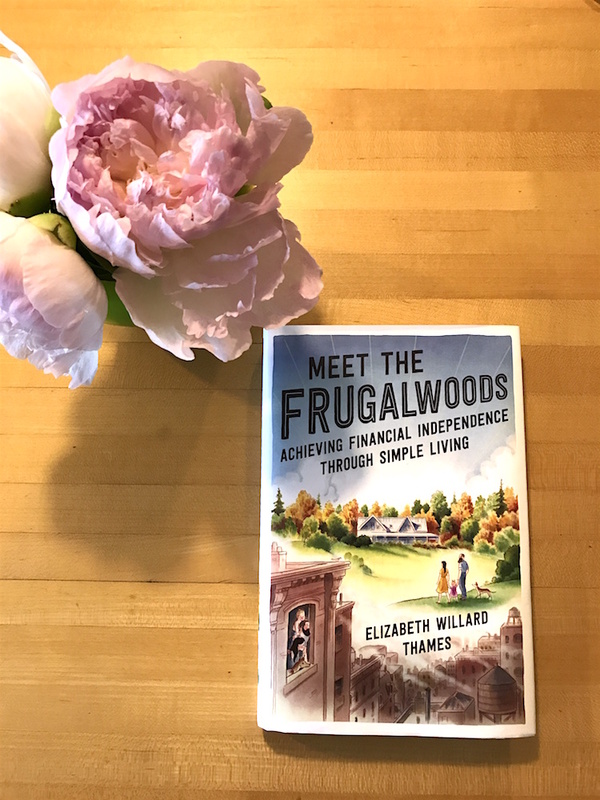 The book is called Meet The Frugalwoods: Achieving Financial Independence Through Simple Living and it’ll be published by HarperCollins on March 6, 2018. Over the years, many of you have requested that I write a book and I’ve always wanted to write a book. I was buoyed by your confidence in me and I thought it sounded super cool to be an author. However, I was terrified I wouldn’t be able to do it. Or that it wouldn’t be any good. Or that no one would read it. Now that I’ve written it, I’ve proven to myself that I can in fact write a book, but in truth, I’m still dogged by fears that it’s not any good and that no one will read it. What I’ve come to realize during this (lengthy, challenging) process of pursuing a dream is that, quite simply, it’s not easy. I am hard on myself and I expect to get things right the first time. When I don’t, I get frustrated and feel like I’ll never get there. But I didn’t give up. I will tell you that, with the guidance and support of my fabulous editor at HarperCollins, I re-wrote the first chapter of this book no less than 17 times. And those are the times I remember. It honestly might’ve been more. Every single chapter in the book, in fact, was either completely thrown in the (digital) trash and re-written or heavily, HEAVILY edited by me. This was a humbling process and one that, I hope, made me a better writer. Since I write all the time, both for Frugalwoods and in freelance capacities, I went into writing my book with the naive assumption that it would be easy. That it wouldn’t take too much time and wouldn’t be that big of a deal. Well. Allow me to tell you right now how very, very, very wrong I was. It took me for-freaking-ever to write this book. I kept blowing past deadlines and needing to re-write and re-do. Some of my initial chapters were so bad that my editor didn’t even bother editing them. She just called me up and, in her incredibly kind and diplomatic manner, told me I should simply start over “with a blank Word document.” I was deflated after each one of these (many) calls. I’d cry. I’d whine to Mr. Frugalwoods. I’d go hiking and feel like a miserable writer. I was crushed. But instead of staying under that leaf of moping self-doubt, I wrote more. I read all the books my editor suggested (all of which were about improving one’s writing… my favorite of which was The Art of Memoir, by Mary Karr) and I doggedly re-wrote every last word of whichever doomed chapter was under discussion. I wrote through tears, I wrote while inhaling cheese and carrots, I wrote while listening to Babywoods 1 play with Mr. FW in the next room. I wrote while nauseous during my first trimester with Babywoods 2, while tired, while traveling, while happy, and while mad. But I did not stop writing. 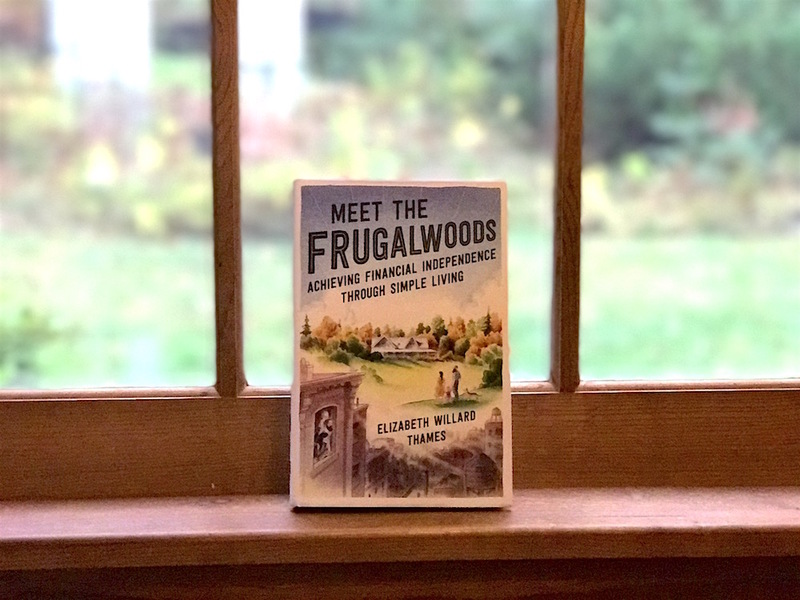 I still carry a lot of fear about this entire project–the book, Frugalwoods as a whole, this weird thing I do of espousing frugality as a means to find purpose in one’s life–but I love it anyway. I cannot deny the passion I have for this subject matter and for my deeply rooted belief that consuming doesn’t make us happy, that spending money doesn’t make us happy, and that freedom from worry over money is a way to liberate oneself and find one’s true calling. But what if people don’t like the book? My self-doubting side still questions. Well, what if they don’t? I’ve decided that I want to live my life boldly. I’d rather do–or attempt to do–big things. And if I fail at those big things? If everyone hates my book? At least I will have tried. At least I will have done something. I’d rather go out in a bursting fire of effort than hide my passion under a meek facade of passive indifference. I’d rather stand for something, be bold, and fail big than never stand for anything and never do anything at all. I share this story with you all not just to tell you how I felt writing this book, but to encourage you to take a step towards whatever bold project it is that you want to pursue. I didn’t know anything (like, nothing) about writing a book before I wrote one. Come to think of it, I didn’t know anything about blogging before I started this blog. What I’ve learned is that if you want to do something, you have to dive in. You have to cling firmly to your beliefs, to what brings you joy, and you have to go for it. Otherwise, what’s the point? What’s the point of this life here on earth if we don’t go for it in a big way every now and then? Whatever it is that you’re thinking about doing, whatever it is that you want to say you did when you’re on your deathbed, start doing it today. My book started with the first sentence of the first chapter. I didn’t copy and paste from the blog, no one told me what to write, I just stared at a blank Word document on my computer for an embarrassingly long period of time before I finally had the courage to write down a few words. Of course, those words have long since been re-written, but I had to start somewhere. I had to have a first draft in order to get to the 18th draft, the draft that’ll sit on library and bookstore shelves (and hopefully in some people’s homes other than my relatives). And Now For Some Book FAQs!! Ok, ok, you’re saying, enough about your tortured writing process, Mrs. Frugalwoods, we want the details! The info! The FAQs! I have no idea if the following Q’s are really F, but these are my best guesses. You can ask any other Q’s you might have in the comments section. Q: Does This Book Cost Money? If you’re a diehard Frugalwoods fan (for which I thank you) and want to get in on the action early, please consider pre-ordering the book. What does pre-order mean? This means you order the book now (although you don’t pay for it now) and you receive the book when it publishes in March. Pre-ordering also means you’ll receive a…. It’s true! If you pre-order, or order, my book by March 13, 2018, and send me a proof of your purchase (commonly known as a receipt), I will mail you a signed bookplate. This bookplate will be signed by me! And mailed by me! We don’t have anyone working for us, so either Mr. FW or I will put your bookplate in an envelope, take it to our local post office, and send it your way. What’s a bookplate, you might be wondering? I’m so glad you asked. It’s a handy little sticker you affix to the inside cover of your book so that you have a signed copy. I took a picture of one and included it at right for your handy dandy reference. Hooray! Easier (and less awkward) than me coming to your house and signing your book for you. Unfortunately, due to our capacity (that would be the capacity of me and Mr. FW sitting at our dining room table after Babywoods 1 goes to bed), the signed bookplates are only available for folks who pre-order or order the book by March 13, 2018. If you pre-order your book by December 1, 2017, you will receive your signed bookplate in time for Christmas! And if you order two books, you’ll get two bookplates. If you order 20 books, you’ll get 20 bookplates! Please note that signed bookplates can only be mailed within the United States. Q: Where Can I Pre-Order The Book? Another advantage to pre-ordering the book is that Amazon specifically offers a pre-order price guarantee. What this means is that you’ll pay the lowest price the book dips to on Amazon between when you place your pre-order and the publication date (which is March 6, 2018). Also, your credit card won’t be charged for the purchase until your book ships, which’ll be after the publication date (which again, is March 6, 2018). Q: How Do I Get My Signed Bookplate Again? Q: When Will I Receive My Copy Of The Book? If you pre-order the book online, you’ll receive it sometime after the publication date of March 6, 2018. Don’t be panicking when you pre-order the book and it doesn’t show up immediately. It’ll be shipped to you after March 6, 2018. You won’t be charged for the book until that time. Q: Why are you announcing the book now, Mrs. FW? Well, for several reasons: firstly, I am having a baby and will not have time to sign bookplates after Babywoods 2 is born. Secondly, I happen to think that books make great holiday gifts and so perhaps you might think that this book happens to make a great holiday gift :)! Q: Is The Book Different From the Blog? In a word: yes! In a few more words: the book is a wholly new, freshly written memoir that’s completely different from the blog. Yes, there are similar themes, arcs, and conclusions (I mean, you know how it ends after all 😉 ), but the book represents a different take on the story of how we reached financial independence. I didn’t copy and paste from the blog, which is why it was so painful to write. You might recognize a few of the stories, but I guarantee they’re told in a more in-depth, thorough, usually much-more-embarrassing-for-me method. My writing took on a new approach and style in this book, one that was crafted and honed through working closely with my editor and, you know, re-writing many of the chapters one thousand times. 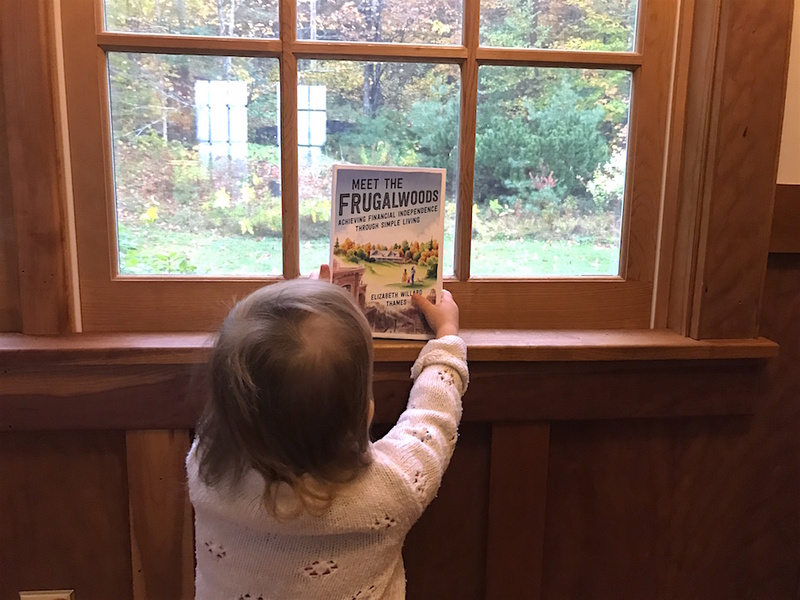 I want to close by thanking all of you–the devoted members of the Frugalwoods community–for your ongoing encouragement and inspiration. The stories you send me of how frugality has improved your life, how it has enabled you to pursue unusual dreams, how it has saved your marriages, how it has made you happier, less stressed-out people, how you’ve paid off all your debt, how you’ve achieved financial independence, how you’ve found your true passion in life–these are the reasons why I do what I do. I love the successes you experience and I’m inspired by your dedication to creating better lives for yourselves. I wouldn’t have the motivation to get behind my computer and write every day if it weren’t for all of you and the inspiring stories of transformation that you send to me. Keep them coming and thank you for supporting me as I support you on your journeys to more fulfilling, more financially secure lives! What bold project do you want to get started on? What bold project are you already working on? Wow, this is an amazing surprise! Congratulations and I’m so excited it’s new content! I love the cover, and I’m sure the content will be just as good. Or maybe I’ll buy a copy and then donate it to my small, rural library. 🙂 They don’t have a huge budget, and I have to get most books I want through inter-library loan. Would love to spread the frugal good news to my neighbors! My wife and I just finished reading your book (from the local library)! It was one of the few books on FI that we saw at the library. Maybe there will be more soon as the FIRE movement continues to grow. It was interesting to read about your decision to move into the country on large piece of land. My family still lives in a small town, but we recently moved from our very large house and 11-acre property to a smaller house closer to town. We are happy with our decision, but we definitely miss the property (but not all the work that went with it)! I wrote a bit about the decision on my own blog. That is so sweet of you. I’m sure your library will appreciate the gesture. I live in the suburbs in VA, so I hope the local library here will get Mrs. Frugalwoods’s book soon. It’s a must-read! @Carissa, I usually buy through a local bookseller and then donate the copy to the library once I’m done! 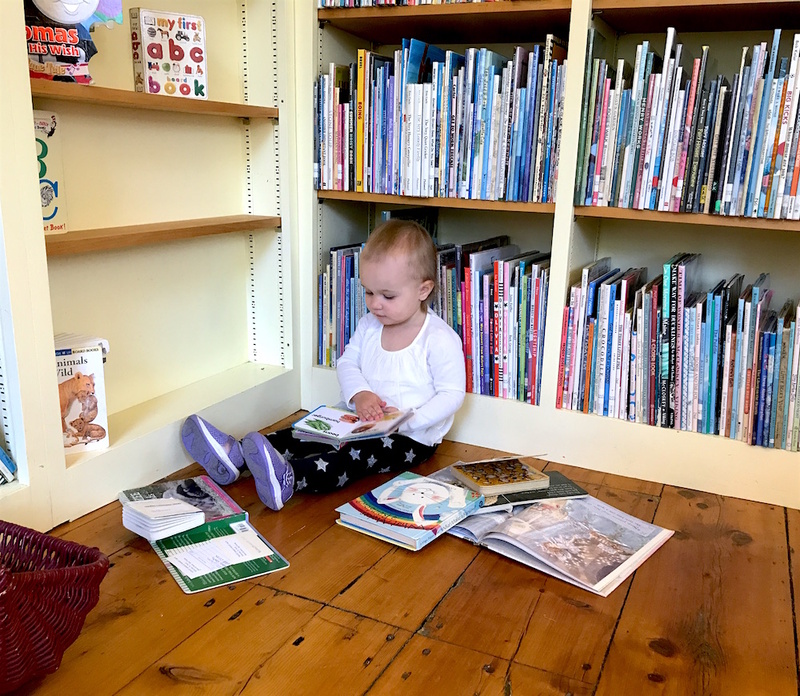 That’s double the warm fuzzies or shopping local and helping out the library! Total surprise but it was about time. And what do you mean you were worried nobody would buy your book? I will head over and pre-order it right now and will probably become your first client 💥😊. I very excited about this announcement (and yes, I will be pre-ordering shortly)! Your story and your writing have been an inspiration to my husband and I over the past few years. I can’t wait to read (and share!) your next creation! Thank you for putting in the time and effort to write a book. I cannot imagine the how hard it is to write a book but I know many, myself included, will benefit from it! Our recent big bold projects include working on exciting improvements to our property (we are coming up on our 1 year anniversary of our new home this week) and starting a blog to help us remain accountable in our FI journey, join the personal finance community and share our story. Thank you so much! I really appreciate that :). That is so awesome Mrs. FW!! I’ve always dreamed of writing a book myself, so I can totally connect with that feeling you must be feeling now! Whew though, all that rewriting and hearing that a whole chapter just isn’t good….that seems super hard to handle. But if writing a book were easy, I think there would be a bunch more crazy books out there. Anyway, congrats on the book! That is incredible!! Congratulations- what a huge achievement! You mentioned that your editor suggested books about improving one’s writing… would you mind sharing these titles? Thank you! The book I found the most useful was The Art Of Memoir, by: Mary Karr. A fabulous read and extremely helpful! Good for you Mrs Frugalwoods!! What an incredible achievement. Woo! That’s so exciting, congratulations!! Oh thank you so much! I really love the cover too! Congratulations!! Thank you in advance for many Frugalhound Footnotes, and to be our Yoda of Following Your Own Path, by times weird as that path may be..
Alsof, the coverpage is touchingly beautiful! Yay! Congratulations, and look forward to reading it. I’ve just pre-ordered. A huge congrats! I’m so excited to read your book! You have no idea how much your blog has transformed my life (for the better, of course) over the last two years. Will the book be available in Australia in hardcopy? It’s available to pre-order on Amazon.com.au in kindle edition only at the moment. It looks like you can pre order from Angus and Robertson online. Ahhhhhhh that’s amazing and so unexpected. It’s beautiful designed! Congratuations, I’ve always wanted to write a book, you’re living the dream!! Congrats! Lots of hard work and a lovely result! Just finished the Chatauqua in Ecuador with some other fine FI folks (now we’re in the Galapagos) – this is a great finale to a month of FI discussions. I just pre-ordered the book, looking forward to March. Love love love the book cover!! The book writing process sounds really tough, but I just have to say it – you’re were a great writer before you wrote the book and I’m sure you’re even a better writer now! Keep up the great work!! Is there any chance you’ll list some of the best books on writing that your editor recommended? I’m always trying to improve. My very favorite, which I highly recommend, is The Art of Memoir, by Mary Karr. I hope you enjoy it :)! Wow! Congratulations on the completion of your book! I hope it’s a huge success for you! I cannot wait to read the book, congratulations! As always, I am amazed and inspired how you manage to get such a huge amount of work done while having a kid at home. I struggle a lot with this and would love to pursue my dream of writing a lot more than I currently seem to be able to. You truly are an inspiration and I just reading whatever you write. Congratulations! I just preordered it and am looking forward to reading it and adding it to my personal library. Wow, congratulations!! What a huge accomplishment in any manner but to do it with everything else you have on your plate is HUGE. 🙂 It has to feel amazing to go from 17 drafts of a first chapter to a fully completed, beautifully jacketed book!! I will definitely be preordering and look forward to giving it a read. Congrats again!! Wonderful news! Another baby on the way AND birthing a new book! The best news for writers. This makes my Xmas shopping easier…. Congratulations! When I saw the book cover on your blog, my first thought was, “Huh? I thought Liz Frugalwoods wrote this; did she ghost write it for someone else? !” Duh. I have preordered your book and will have to check Mary Karr’s book out of the library. I think my favorite books in the writing sub genre are Bird by Bird, On Writing, and The Writing Life by Lamont, King, and Dillard respectively and pretty well in that order. If you somehow missed any of these, which is unlikely since your editor was recommending books to you, trot on down to the library for them. Wow, congratulations on a great achievement! I have been reading your blog since the days when you were still anonymous and lived in Boston, but this is the first time ever that I have the courage to comment. I just had to, as I am currently struggling with writing my doctoral dissertation and somehow your experiences with the book sounded so familiar. 🙂 As a fellow frugalist and a dog-person who loves hiking and travelling, I have tremendously enjoyed reading your blog, even though I am not from the US. Must consider buying the book though, when it comes to Amazon. 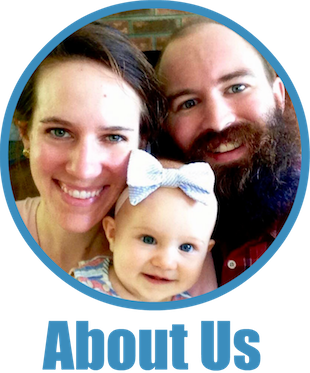 Thanks for the blog and all the best for your growing family! Thank you so much! I really appreciate your kind words :). And I wish you all the very best on your dissertation! You can do it! Thank you so much for sharing honestly. I’ve been thinking of and writing posts for a blog for a couple years now, but just getting up the courage to step out there is hard! I’m also planning to start as a virtual assistant in the new year and reading your post was just that extra boost I needed;) This is really encouraging to know that you- even as a well established writer- still deal with fears. I’m really excited to read your book when it comes out! I’m sure it will be wonderful! I LOVE reading your blog! I’m curious what books or resources Harper Collins pointed you to regarding writing (or re-writing) your book? I’d love if you would share one or two of the most helpful ones! Woah this is so exciting! This is a book that we all have been waiting for. And there is a hard copy version with a beautiful cover and I’m sure great content. Congratulations! And I can’t wait to read it! Congratulations! You’re a wonderful writer, I’m sure the book is fantastic. Can’t wait to read it! Amazing!! Congratulations! Can’t wait to read it. I’m going to pre-order soon. I’ve read your blog for a long time, and I look forward to every post. I feel like a friend just told me she wrote a book. Congratulations!!! Pretty excited right now!! And love the cover art!! Wow what exciting news! I am ordering now so I’m sure you don’t run out as this will surely be a best seller. Trust me, putting this book out into the world is like giving birth (I write children’s books) so it will be like having twins with B-2 coming! Best wishes to you!! That is a lot to say given Babywood’s birth story which was terrifying. So true! But it was over quickly ;). I jest, there’s actually nothing more difficult than giving birth to a human, but wow, writing a book is a close second! YAY! Heading to Amazon right now to pre-order! I can’t wait to read it! Congratulations darlin’ on your book baby!!!! Oh I can’t wait to read this! And seriously, your signature is goregous!! Just preordered it. It is so nice to read a book like this from a real person. Not saying other authors aren’t real, but you have been where we all are or have been ourselves. It will be like having a friend with me along our new life. I have been reading this blog for a few months after feeling as if there must be more to life than spending money. Your blog has reinforced that sentiment and inspires me to be more frugal with my money and time in the pursuit of real happiness, not just the type that lasts for 5 seconds and comes in a shopping bag. I love your writing and can’t wait to read the book which I have just pre-ordered from the UK! As a non-book-buyer, I was pumped to see that my library already had the “request this book” option in their ebook database! Hopefully they will buy a copy! Awesome! Thank you for requesting that they order it! Huge congratulations Mrs Frugalwoods! I cannot wait to read your book. Like your blog, I am sure that it will be truly fantastic. Thank you for your wonderful blog and positive message – a life of frugality truly is the happiest life. I have been waiting for you to write a book!! I love your writing. I hope you feel like signing three more bookplates. Thanks to you and your family for all you do to add positivity, simplicity and frugality to the world. Thank you! And, I am so excited to sign bookplates :)!!! Congratulations, Mrs. Frugalwoids. Preordered! How about a downloadable bookplate to save the postage? In my all-digital world, I thought it would be fun for folks to get an actual thing in the mail from me :). And fun for me to do as well! I will send for a bookplate for sure then.. getting copies for all my kids too. Congrats! What a wonderful accomplishment! For those of us out here in blog land desiring to be better writers, could you please share the books your editor suggested? Love the book cover!! I hope in the future you may consider writing some children’s stories about babywoods 1 & 2 on the homestead for kids. Congratulations Mrs. Frugalwoods! This is truly inspiring. You are motivating me to continue writing regularly. I can’t wait to read the book. Congratulations! I’m so excited it’s a “real” book and not just an Ebook that’s comprised of old blog posts. I love the cover art too. Looks like something that will be helpful for not just your readers here, but anyone interested in Personal finance / FI. Will definitely be getting my hands on one. Thanks for sharing your journey and your excitement!! I just preordered the Kindle version from Amazon and can’t wait to get it in March! The cover is beautiful. Congrats on such a huge achievement. I just ordered my copy. I’m due to have a baby at the end of March and now I know what I’ll be reading in the hospital! Liz!! Congratulations!!!!!! This is so so amazing and you should be VERY proud!!!! Congratulations! Thank you so much for posting about your writing struggles. I share them too and it’s so helpful to hear the story of your perseverance! I look forward to buying the book and enjoying more of your words. Well done! How wonderful! Congratulations to you, you keep inspiring all of us! I’m sure your book is great and I’m even more sure that you didn’t just write any book like many other bloggers to make a quick profit – I’m very impressed by your dedication and the fact that it took so many drafts to get it right. Well done, strong woman! Lastly, one thing I’ve learned from writing for fundraising (which I’m sure you did a lot too), is that it doesn’t matter how great a writer a person is, they still need an editor! Everything gets edited to bits in order to be good, so I hope your ego wasn’t bruised too much by the process. Any book that doesn’t get a ton of editing won’t come out well. Congrats! The cover is great. Fantastic! I can’t wait to read it, and I’m super impressed that you’ve been able to make time to write a book on top of everything else you have going on (including writing for Frugalwoods). Well done! I’ve written several books (real ones, published on actual paper by actual publishing houses). It’s hard and you always wonder if you’re going to make a fool of yourself when it’s published. I just figured I’d do my best and if the books sucked, they sucked, etc. No one seems to have thought they sucked, though, fortunately. I’m working on a proposal for a memoir my agent is very excited about right now. I’m very excited about it, too. Writing books has been the most satisfying thing I’ve ever done (sorry, my kids). Congrats. Delurking to give my jubilant congratulations! So excited for you! And thank-you for your candid picture of writing a book. As a blogger and now with a book in edits I can confirm that books and blogs are different worlds. I keep wanting writing to be fun and easy and somehow it never is but persistence pays off and I can’t wait to read your book. You are my favorite blogger. Congratulations! I am looking forward to reading the book. I have enjoyed your blog for some time and had wondered if a book was in the works. Would love to hear more about the process of finding a literary agent/publisher if you feel like sharing in an upcoming blogpost. 🙂 Well done! Thank you! HarperCollins (my publisher) approached me and asked if I was interested in writing a book and then they introduced me to literary agents. So I think my route was a bit backwards! Bold projects, you ask? I feel bad about mine/ours. I have three. Well, two, if you want to combine two of them. First, I want to write my own travel blog. I want to write about the places we go, whether it's the cruise to Bermuda or the day-trip to the local basilica twenty minutes away. I wrote my first "article" on that cruise in Word, and got hung up on the picture choosing/editing, on constant re-writes, on fear that I left out things that were important to me and I just cannot remember, or maybe I just don’t have enough content… So it never got off the ground. It’s still just sitting in Word. I feel entirely discouraged at myself already. pooh. My best, and really only, advice is: just start writing. My time is pretty limited these days between Babywoods 1 care and homesteading, so when I have the time to sit down at my computer and write, that is exactly what I do. I cannot tell you how many TERRIBLE drafts I have of blogs posts I’ll never publish, of chapters that will never appear in any book, of short fiction pieces that are awful. But I just don’t stop writing. And eventually, I get around to stuff that’s palatable :)!! I find that writing is like anything else: it’s a muscle and a habit that you can build over time and, cliche as it sounds, the more you do it, the easier, the faster, and the more natural it becomes. I wish you all the very best and I encourage you to just go for it!!! I’m so excited for your book!! I will be getting a copy for my 19yo daughter too. Oh, yeah, Christmas gifts a-comin’! I foresee my purchasing three — one for me and two for gifts. Congratulations on your book! Wow. I am super excited to hear this announcement. I am actually in the middle of writing a book that talks about how an individual such as myself, an uneducated Applebee’s server, paid off $225K worth of debt amnd paid cash for my home through frugality and gritty freelancing. As mentioned earlier, the editing process is long and arduous indeed. I am in dire need of inspiration to keep going. This post helped me feel vindicated with my current level of frustration. I will keep writing, editing and buying more tissues. I also plan to pre-order and am very anxious to find ways to support the blog. Please keep up the good work! Thanks for all your effort! You deserve every success! I read this blog religiously and it’s really changed my financial life. Can’t wait for the book. Secondly, thank you so much for your transparency on your process. It is so easy to assume things are easy for everyone else and that confidence and self-assurance is a given, perhaps while feeling less confident about your own abilities. So, I’m on my way over to Amazon right now to pre-order. I am so incredibly happy for you and so anxious to read this book. I can’t thank you enough for writing it, and I want to tell you that, even at my age…early 60’s…you have encouraged and taught me that it’s’ never to late and there’s always time to improve your finances and your life. I’m one of those ones that you mention in your last paragraph, and the results have been better than I could have ever imagined. Thank you, Liz, for sharing your knowledge. I NEVER buy new books (or hardly ever new anything)…like NEVER. But, I will make an exception, and I will buy yours in Barnes and Nobles when it comes out. I do not order anything on-line, but I will make sure my local Barnes and Nobles will carry it, and will have a copy for me! I am excited! How much will it retail for? Congratulations! Excited to read it! So excited to read it. Congrats!! I preordered 🙂 What if people don’t like the book? Well, I’d say that it’s a true reflection on them…it’s likely that anyone who doesn’t like it is somehow struggling with the “can’ts” in their own consumer life (I can’t pay off this debt, I can’t live without this or that). In other words, if anyone doesn’t like it, don’t take it personally! I will, for sure, buy your book! Maybe even pre-order it right now! I have also started the proccess of writing a book and I’m also pregnant, haha! I’m a journalist, so I really didn’t think this was SO HARD!! It’s really how you describe it, an endless frustration proccess… I hope that, as you did, I may be able to finish it! I’ve ordered the Mary Karr book, as you liked it so much; maybe it brings me some kind of light. Congratulations again: I know for sure your book will be a best seller! What a great accomplishment! I’m definitely pre-ordering and, despite the fact I’ll miss out on the great book plates by buying the Kindle version, can’t wait to devour your memoir. Hello… and CONGRATULATIONS on getting published, you clever person! Apologies if you’ve already answered this one BUT will it be available electronically? It is available as a Kindle version. Just check out the links I included in the post and many thanks :)! Wonderful. Congratulations!! I just pre-ordered the kindle version. As much as I would love to have the actual book and a bookplate, I’m at a point of minimizing in my life that I don’t want any physical books. I’ve been purging all the ones that I have, minus a few older ones that I haven’t read and aren’t available in libraries. LOL. So looking forward to reading it! Congratulations! Having written a book myself (a boring academic one… the good news with that is I knew from the start no one would read it! ), I can say that one fun nerdy thing is: being in the Library of Congress. I love that title page with my birthdate and stuff. So official. So cool. Enjoy it! First of all, yay YOU! I have no idea how you do all of the things you do, but it’s an understatement to say you are Superwoman! Second, thank you for writing this book and inspiring others to live their dream! I greatly enjoy your blog and look forward to your updates and messages. Keep it up and congratulations! Congratulations!! I have always enjoyed your writing and I’m so excited for your book! CONGRATULATIONS! I’ve been in a holding pattern of keeping career/blog/Toddler/dog going smoothly so any and all bold new projects are just simmering in the background but I may be spending my next bout of energy on a new rescue dog rather than a work project. Building our family is the higher priority right now than career stuff, tis that season (in our lives) and we’ve got to prioritize. But I’m so excited for you, you’ve got amazing timing! Congratulations! Really exciting news! Your journey inspires me in achieving my dreams. Thank you so much for sharing! I ordered it from Indigo in Canada which still offers free shipping to remote locations. Yay! My next big goal is getting my specialty in emergency nursing. It means lots of studying and lots of $$$. My ultimate goal and life dream is working as an outpost nurse in remote and isolated First Nations communities here in Canada. Books are one of the things I work hard to fit into my frugal lifestyle, whether through purchasing them or borrowing them from my library. My rule is, if it’s a fiction book, I check it out from the library first, and if I love it enough to want to read it again or have my child (someday) read it, I’ll purchase it. With nonfiction, I’ll purchase it if I want it as a reference and/or if it supports someone who’s inspired me to become better in some way. You, frugal friend, are definitely going to be making up a bookplate for me! I’m stoked to add this title to my library, and I can’t wait until March to read it! OMG! Congrats! You have helped to change my life with this blog, and now even more people will be able to discover your message of joy. This is so exciting! I am so excited for you!! I’m going to go pre order right now. BTW, that cover could NOT be more perfect. Thank you so much! I really appreciate your kind words :). I love the cover too–I was so excited when they showed it to me!! Congratulations! I’ve always loved your writing as well as your lifestyle! I too believe that we all need to reduce our consumerism and concentrate on the real things in life that make us happy! I will definitely order your book! Congratulations! That’s a swell accomplishment. I am simply itching to write a book too, but alas, I have not been able to settle upon a firm topic, so I shall continue to itch, and to write my blog posts. You make me want to nail something down and get started though! I just pre-ordered the Kindle version, because I know how much publishers and retailers rely on pre-orders to establish how big of a print run to make, which often translates directly to early and total sales. I love your writing and want your book to do well! I will not ask you for a book plate, however. I have a 3.5 year old and a 1 year old, and there is no way I am asking a pregnant lady to mail me a tiny scrap of paper! I mean, I ordered a digital copy of the book anyway! And side note – I’ve been wanting to start a blog of my own, and I’ll be taking the plunge soon. I’m turning 40 this month and it is time to incorporate regular writing into my life! I also love it so. You are very inspiring. I’ve always wanted to write a book too, but have no idea what I would write it about. I love to read but could never imagine crafting my own novel. My life is by no means exciting, so a memoir doesn’t seem fitting either. I hope one day the right topic will appear and give me some direction! Obviously your topic was probably pretty easy, but is this something you ever struggled with at first? I’d love to write a book and have loved learning the process. Any other books you’d suggest or other sources to even pick a topic?!? Thanks! Long time lurker, first-time poster. Congratulations on the book! I am an author as well (I focus on F.I based fiction) and I was nodding my head and thinking “heck yes” to each paragraph in this post. I’m sure you will keep us updated as you crush through all of the best-seller lists. Congrats again! How very exciting for you! I have followed you for some time and I cannot wait to 1) read your book and 2) give your book to my mom! Congratulations and I look forward to watching more of your journey unfold! Nice job Ms. FW! I appreciate your encouragement with difficult new undertakings. I just started a real estate career at age 64 and it can be discouraging. But I forge ahead knowing a year from now I’ll know more! Good luck with your writing. I know the subject will be popular. Congratulations!!! I am so excited to read your book! I also really appreciate your honesty about how difficult this process was for you and even sharing that you had tough phone calls from your editor. It’s great to hear your encouragement to readers to tackle hard things knowing that you persevered through some rough patches. Hi. Wonderful news. I look forward to reading it. However, I’m from the UK. Do you know if it will be published here? Thanks! I found this blog a couple weeks ago and it was so refreshing to get your perspective on frugality and the important things in life. It made me feel less crazy for my frugality weirdoness– free to abandon the extra throw pillows that don’t spark joy and the ability to dream about a life lived how you CHOOSE to live it. Thanks from a 23 year-old (just a baby!) who loves this blog, the vision, and your inspiring work ethic to write that book. Oh, congrats, congrats! As someone who is working on the second book in a trilogy, I feel your pain with all the rewriting necessary for a good book. I’ve been following your blog for quite a while, and it’s my guess that your book will sell well. We live on a budget as big as a minute, but I will buy your book as money allows. As we Franco-Americans would say, bonne chance! The cover art is absolutely beautiful! Also, I can’t believe your name is Elizabeth Willard! The Betsy-Tacy books are probably my favorite series of all time, and even as an adult I re-read them every few years. Elizabeth (Betsy) Ray Willard is the the protagonist and she grows up dreaming of being a writer in Minnesota at the turn of the century. If you aren’t familiar with them, having two daughters is the perfect time of life to explore them:) Congrats on the book and the auspicious name! CONGRATS!!! I’m so excited for you!!! It’s so great that your book is going to have a lot of material that’s NOT in your blog. I’m very interested in learning more about you, your backstory, and the Frugalwoods journey. Thanks also for your raw honesty about how hard it is to write a book. I really appreciated you letting us in on how hard the writing process was for you. As a novelist, I can relate. It can be really hard to write a book. Even when you’re super motivated, it’s not an easy thing to put down on paper what you’ve been thinking about for a long time. I admire you for having the courage and tenacity to keep trying and to actually DO IT. I can’t wait to read your book! I just pre-ordered and really want to thank you so much for the inspiring blog. I love your message and I love your writing. Keeping our focus on the truly important things can be so hard in this wildly consumerist culture. Your writing has really helped provide clarity and encouragement. Thank you so much and I can’t wait to read your book. I know I’m going to love it and so will others in my family. Thank you for writing this book!!!! BTW, Babywoods1 is getting soooo big…wish they could stay little longer. Yayy, congrats Mrs. Frugalwoods on the book. Their was a reason you were my first PF blogger to read. 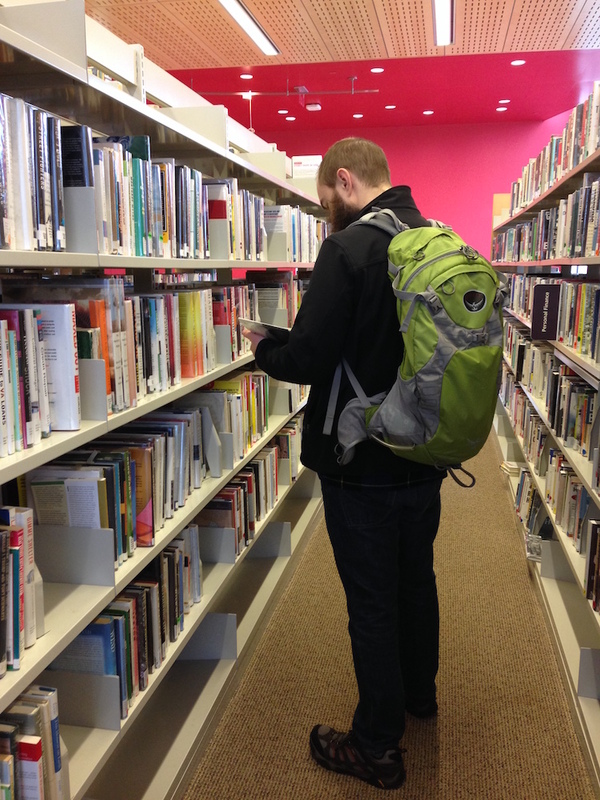 You have so many stories to share and wanted to help the us readers how to be frugal as well. Plus you put in a thoughtful and meaningful way. It was a matter of time that you were writing a book. Can’t wait to read it in the spring!! Aw, must de-lurk to say, YAY YOU!! Love your blog and energy and WRITING — very inspirational and funny and true! And you managed to turn even this amazing accomplishment into an inspiration for the rest of us — wow! I will read and enjoy it immensely, I know! Congratulations to you! Congratulations! That’s such wonderfully exciting news! As someone who writes a lot and is currently struggling with revisions to a book (based on my PhD dissertation) I appreciate your honesty about how difficult the process is. I don’t know if you read Modern Mrs Darcy but her book came out last month and she had some great posts about what her readers could do to help the book reach a wider audience. One of the most important was pre-orders because that can affect the overall print run and the book’s chance at success. I banned myself from buying books a number of years ago because of space and money but I will make sure to request that my library order your book. 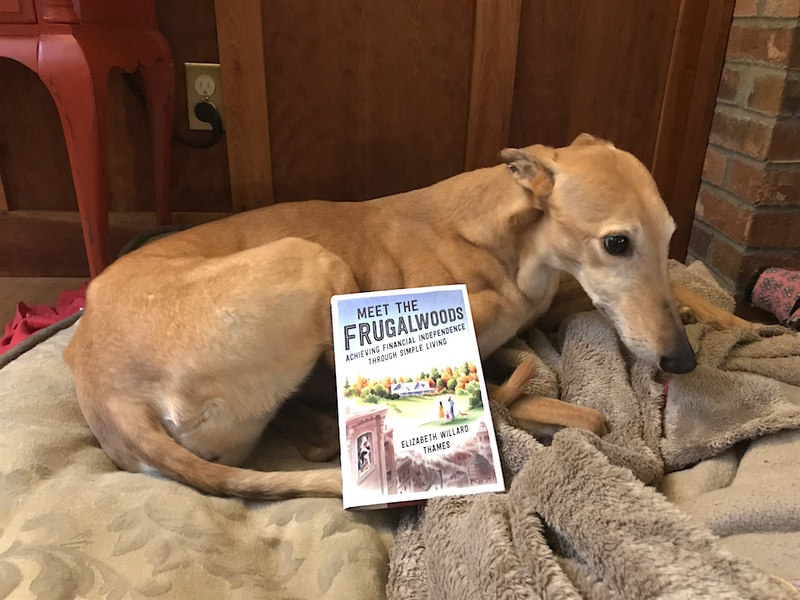 My burning questions – Are there any pictures of Frugal hound ? Have you consider a fugal hound print book plate? I just ordered your book and I’m more than happy to support you! Congratulations! Thank you so much :)! I really appreciate it! I put in a request right away and my library has ordered the book! Congratulations! Can’t wait to learn more Frugalwoods wisdom (my husband has gotten quite good at giving me what he calls a “Frugalwoods haircut” 😀 ). Wow, great news! Thank you for sharing your stories & learnings… Congratulations to you & family! I’ll definitely pre-order…. Will you still be doing your Frugalwoods blog ? I hope so…..I wondered why I hadn’t gotten anything from you in awhile….last thing I remember reading, you told us you were pregnant….then I hadn’t heard anymore….did I miss some blogs ? Baby Furgalwoods is sure growing, and looks like she enjoys books…..my granddaughter 15 was just like this, she loved books, they bought her all kinds and they read to her every day and soon as she could read, she started reading, they took her to the Library to check out books, I have taken her when she would spend the nite with me, it was fun…she is now 15, will be 16 in Dec. a Sophomore. and Varsity Cheerleader, got the main part in a play they are putting on at school, takes couple of classes at a college near home, and she has a job, and she is an “A” student….has been all thru school, can’t you tell how proud we are of her…..? I have 3 other granddaughter, two married with children and one still in college and she works also….. so I am a proud Grandma….aren’t all of us Grandma proud of our GK and our kids.?? Oh yes, Frugalwoods is still going strong! I published two posts last week and two the week before and two the week before that, so perhaps you missed a few? You can always check the website for new posts or sign-up for the email list in the box at the end of the posts :). Thank you so much for reading! And many congrats on your wonderful grandchildren :). Congratulations, the book is something to truly look forward to – cannot wait to read it!…The thing is, I live in Europe – will you ship the bookplate overseas? International shipping of the actual book should be easiest through Amazon, yes? Thanks for writing – I am always looking forward to the next post. Unfortunately, as I noted in the post, the bookplates can only be shipping within the United States. I’m sorry about that! We are all so proud of you!!!!! Vermont will do that to you…. Congrats! Pre-ordering also must be how all those books already come out ON the N.Y. Times best seller list – !go for it!!!! Congratulations! Excited to read it and inspired by your bravery to share what you create, both the book and this blog. This is such amazing news! My first reaction was “wow, she unearthed a book from the early 1900’s with the same name as her blog. The cover is perfection Your “real” full name sound like an established author! I must say that I almost never comment but I have been reading your blog from the start and look forward to each post. I read A LOT of blogs, but you are hands down my favorite. You have an absolute gift for writing. I am also a frugal minimalist but I plan on purchasing the hard copy of your book and keeping it for myself! Thank you for all you have done for free and to keep us all on our frugal paths! Thank you so much! I am in love with the cover too–totally my style. And, I lucked out with my name because Mr. FW’s last name goes so well with my last name that I use all three names! Congratulations again! I too will order a paper copy and donate it to my local library in Montreal, Quebec. Wishing you much success. I am a book lover and book hoarder, and have so many that I now only order the very best books I know I will enjoy. Yours will be one of them. As an aspiring novelist myself who has NOT found it in herself yet to do that brave thing–write the book–it is tempting to feel the green monster rise up and feel envy for you rather than joy. However, there is something very humble and generous about your writing style that kills that feeling inside of me, and so all I feel is happiness for you. Maybe one day I will buckle down and put the words on paper. Until then, I’ll read yours. BTW, the cover is everything. It inspires a very “Little House” pioneer feeling. I still adore that series to this day, so I can only expect the same for your beautiful (inside and out) book. Hello from Estonia! I just pre-ordered a Kindle Edition and can’t wait to read it! You are an amazing writer and this book will be a success for sure. good for you, your blog has been a constant on my journey of frugality, which i never even knew was a thing, let alone an option prior to 2014…and I’m turning 44 next month…Thanks for all your work, congratulations! Congratulations!! I am so excited for you, and I can’t wait to read the book. You are truly one of the most entertaining and compelling frugality writers I have encountered. Thank you so much! I really appreciate that :)! Oh wow – that’s a really exciting announcement! Definitely looking forward to getting this! Congratulations, that’s so awesome! 🙂 I just pre-ordered the Kindle ebook and can’t wait to read it when it comes out. Does pre-ordering the ebook mean I can get a signed bookplate too? Congratulations–I’m so excited! I love that you wrote a memoir instead of a personal finance book. Not that your PF book wouldn’t also be great, but a memoir will expand your audience and maybe bring new people to the ways of the Frugalwoods! I’m really impressed with your work on this through pregnancy and everything. I write fiction (not for a living–yet!) and I’m finding it’s a lot harder to get my usual writing done while pregnant! Hmm… normally I like to preorder books from my local bookstore, which I can walk to, but I think I may have to go with Amazon for this one. It’s due the same day as my baby, so I definitely can’t rely on my ability to walk over to the bookstore when it comes in! So happy for you!! And I will definitely pre-order a copy. *But won’t request a book plate because I live in Canada and postage will eat into your profits. I had my first book published in 2014 and wrote it with my second baby either sleeping on -or attached! – to me. It was so hard but ended up being so rewarding. Congrats! And I love it that you suggest encouraging your local library to purchase the book (which I will totally do, by the way!). I have suggested this to friends many times, and many are unaware of this option. Opportunity for a future blog post? Well, this has just made my day! I’m a keen Australian reader of your blog. I really enjoy your style of writing and the lifestyle you’ve created for your family. I have added your book to my book list and will excitedly try to wait until March next year! Most of my books come from the library but this one I will be purchasing for my bookshelf. Congratulations! I know from past publishing work that this takes a ton of work. I’ve added it to my Christmas wish list. Congratulations … how wonderful that you have realised your dream and that soon it will be out there for everyone who want to read it. All that hard work has paid off! I’ve been reading for months now and have gotten my wife to go on a finance date with me because of you guys! She even reads the links to your posts when I send them to you! I think she’s sick of me talking about your frugal hound! What a blessing your pregnancy is! Well done Mrs FW. Cute cover. I’m sure they’ll sell like hotcakes (home-made of course). Congrats!! So excited for you. I have known about this for some time now, because I am a Branch Manager of our local library and have this on my must buys for the library. I didn’t want to say anything until you announced it. I will be purchasing one for my library and one for myself. So excited. Yay!! Oh that’s great! Thank you so much :)! Wow! You are such an inspiration! I stumbled across your blog just this year and it had made a huge impact in my life and hopefully in our family as well. Thank you for writing about these things and helping people like me to live simply. So excited! I just ordered your book on Amazon. I just have one question: How do you pronounce your last name? (I apologize if you’ve already answered this, but I don’t have time to read ALL the comments at the moment.) Is it like the River Thames in England (“tems”)? I wish your writing had been available to my husband & me oh, say, at least 15 or 20 years ago. Now we’re 68 and already retired, so it’s not as easy to reach financial independence on Social Security, pensions, and small investments. But I still get SO much good from reading your blogs, and you inspire better choices in my life all the time! Thank you! Exactly like the river in England–you’ve got it :). Thank you so much for pre-ordering my book! Congratulations and thank you for sharing what a difficult process it was. I’ve also always believed that if something is going to work out and that I’m good at it, it should happen easily. It’s only recently (since reading Mindset by Carol Dweck actually) that I realised it’s ok for things not to work out the first time and that learning is all part of the process. It’s what keeps me working at my more difficult projects these days. Requested that my library purchase your book. Received an email that said that they are buying your book based on my recommendation. Good luck and congratulations. I went to suggest it to my local library and turns out they’d already ordered 10 copies! Congrats! I’m looking forward to reading it. I will be checking out our local public library here in Calgary Alberta, requesting that they order asap. Congratulations! Preorderd! Hope it’s read far and wide, as you already help a lot of people improve their lives. I’ll suggest it to my library too! Congrats!!! There’s 9 local libraries that have already bought the book, and I’m on the good list eagerly a airing it! Congratulations on writing a book! I can’t wait to read it! I just ordered and sent the bookplate request – that will make this book when I receive it really special- I am so looking forward to it! Congratulations- you are truly walking in your purpose and are an inspiration to so many… and I look forward to your emails daily! God bless you and your growing family! I love your blog, been reading for 2-3 years I think, way before Babywoods #1. Congrats on the book, I just pre-ordered it. I am also, like one of the first comments, hoping you do a book tour through Phoenix. Although with Babywoods #2, you might need an RV. 😄. Thanks again for your writing, it is a pleasure to read your blog. Thank you for sharing your story of writing a book! I’ve written a children’s book (co-authored with my husband), and all the pain, rejections, rewriting, endless-rounds of editing is exactly like you said. It really is a labour of love and the entire time you are just bleeding on to the page. I’ve never had a baby, but I’d imagine that’s what it’s like. Unimaginable pain but also incomparable joy. And after ALL THAT HARD WORK, you have no idea whether anyone will actually read it and like it. BUT, I will say, the feeling of going to New York, holding that book baby in your hands (after 7 years of toiling in the writing trenches), signing it and handing it to a crowd of adoring fans is one of the best feelings in the world. So it IS worth it. I’ve pre-ordered your book and I’m excited to read it! Congrats on bringing your first book baby into the world! I’ve just ordered your book from the UK. I love the way you write and can’t wait to receive it! What an amazing journey! I just found your blog by chance and am in love, as your trajectory in life seems very similar to my own… and its nice to know that I am not alone! Congratulations, Mrs. Frugalwoods! 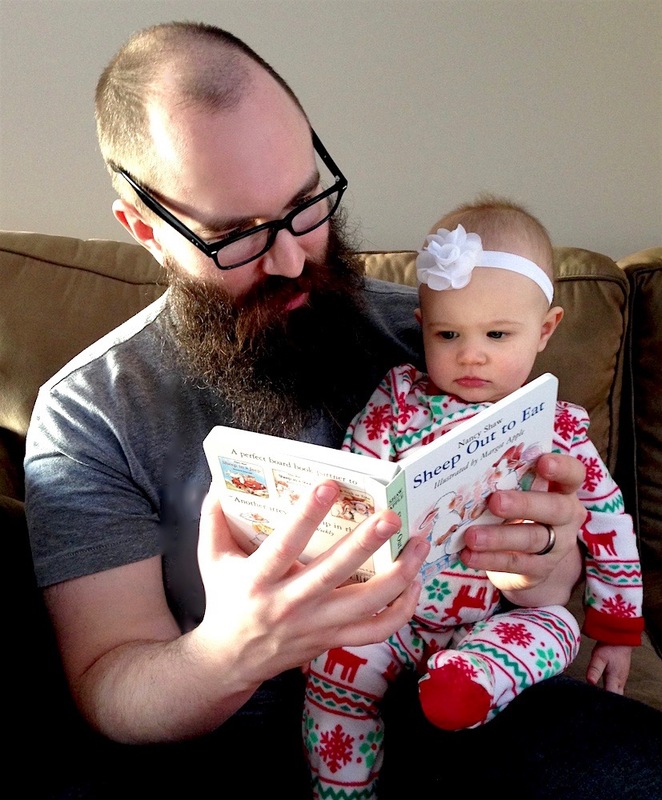 When the book is published, you can read it for both Babywoods. They will love it, and will be very proud of their mom! Thanks a lot for sharing the journey of writing a book. It is a big project. I wrote my first book last year. It is an eBook, named Dad’s Bicycle, a mini-memoir. It was cool to see it finally published on Amazon. My book plate came today! So excited to read your book soon! Love your articles….keep them all because I don’t seem to read them as soon as I get them, but I mark the # down when I read it, and make note if I need to refer back to it for one reason or another…. Yes, I want your book too, but must have missed the info on where to purchase it at ? Could you send me that article again…..I know I must have lost some of your stories because my hotmail was deleted once because they said I had too many lol…but now I am trying to keep it up…and it is hard….. I was surprised in another email you sent because I did not know you were pregnant….but I think I did email you I was surprised and happy for you too. Baby Frugalwoods will love her sister…..I had 4 sisters…..growing up , 2 boys came later when I left home…. Unlike other readers, I discovered the book on Amazon first and later your blog. I will read the whole adventure from April 2014. It seems inspiring. Congratulations for book. Already ordered. I am your fan from Malaysia. I discovered your fantastic blog two days before the end of 2017. I am addicted to your articles ever since and have been able to cut down many unnecessary expenses just three weeks into the new year ! Reading your blog on daily basis served as a “Personal Frugality Life Coach” to me , you have challenged many of my old distorted beliefs which have subconsciously do way more harm than benefited me all these years ! Your sharp words are lingering in my mind most of my awaken moments and I will automatically pull a break and think twice whenever I am about to dive into any type of purchases ! I am so interested in buying your new book, I checked on the links you provided but all required me to pay quite an amount of international shipping fee. a bit then I happen to find this amazing international online bookstore based in UK with FREE delivery worldwide to 160 countries. 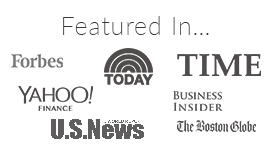 The best part is they are selling your book, yahoo ! Thank you again for all the life transforming tips. Just found this blog after Pocket recommended one of your posts, and the book does sound very interesting! 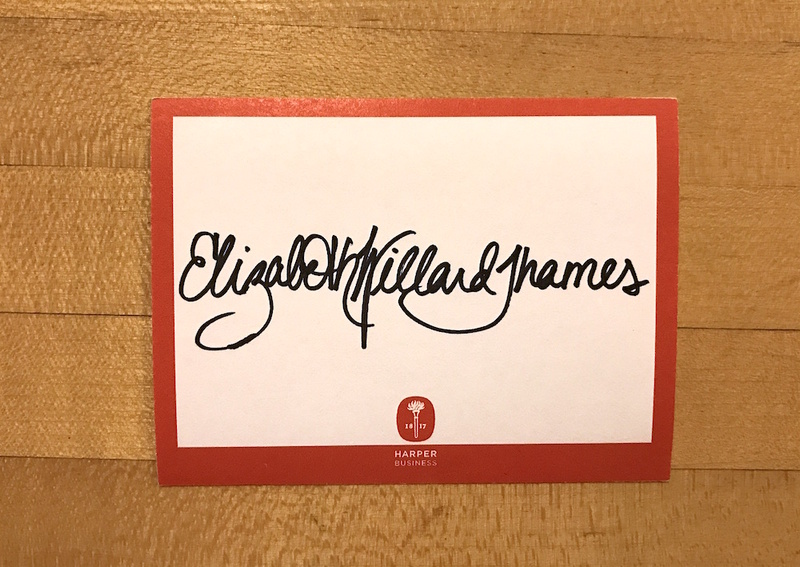 I really like the personal touch of sending hand-written bookplates to those that preorder. Question regarding the date though: book’s coming out March 6 but the deadline for the bookplate is March 13? Thanks for reading! Yes, the book publishes March 6th and the bookplate deadline is March 13th. NICE WORK on finishing the book. I’ve written a few myself on Amazon, and I can tell you that the first one is always the hardest. Like I was totally clueless about formatting, editing, cover design, etc. Ha! I just wasted so much time. Anyway, now my co-author and I have a well-oiled machine on the go. Keep on writing more! I just received my very own copy of Meet the Frugalwoods and promptly affixed the signed bookplate!!! So awesome!! Great job Liz! My goodness… your book has been out for two days, barely, and you’ve already been the subject of a long and lovely article in The Guardian! You can’t possibly have any more doubts about being an author! A real author! And a GOOD author! I enjoyed your book very much! I preordered it and finished it the day it came. The value of your story is that it’s personal yet can be illustrative for so many of us. You shared generously of your thoughts, fears, and ambitions but wisely didn’t overshare. As an author and public speaker myself, I know that can be tricky! Your writing is engaging and your story compelling. I enjoyed every page. Thank you for what must have been herculean efforts to write, rear a toddler, and deal with early pregnancy fatigue simultaneously. I appreciate your sacrifice! Best wishes on your book. I predict big things! Thank you so much! I really appreciate your kind words :). If you’re so inclined, I’d love it if you’d consider writing a review of the book on Amazon. Many thanks! I found your book via Audible’s suggestions, I rarely buy a book unless I know the author well or if the book has been a best seller for many years…mainly because I don’t like to spend money buying things, so when I do they better be good! I am sure you understand this well. Anyways, I had never read your blog before purchasing this book so there was no sentimentalism in my purchase, I just saw the cover and read the reviews and I knew then that I had to get it…it’s funny how you said that your husband was the one who set up the blog and even named for you (frugalwoods haha) because my husband has been pushing me to write as well. Not because I am any good, English is not even my main language, he must be crazy, but part of me thinks it would be great fun and I would love to share the small amount of wisdom I have gathered along the years…your book and blog have inspired me so much…naturally I think you are actually very gifted and your life in the woods is way more exciting than mine, so I don’t know if I could ever do half as good a blog but if anything at least I gave it a go! Thanks for your hard work writing all these great stories, wish you and your lovely family all the best! I just read your book in two sittings! (Borrowed it from my local library.) Such a fun read and so thought-provoking. I really enjoyed it appreciate you sharing your story. Thank you so much! I really appreciate it! And, if you’re so inclined, I’d be very grateful if you’d write a review of it on Amazon :). Many thanks! I read your book and I LOVED it–I’m now going back for the second time and highlighting all the good parts that made me want to scream YES!!! while reading. 🙂 I just wanted to ask about one part that kind of left me hanging. What did you do about the big promotion your boss in DC offered you? You really didn’t tell us how you managed to decline the promotion but keep the job until you finished grad school, if that is in fact what you did. Can you tell that story? Writing a book is a huge achievement. Congratulations. The world needs to understand that raising children can be free from so much stuff. I will add your blog to my list of loved blogs. I write a blog called motherearthparenting.wordpress.com about mothering with instinct. 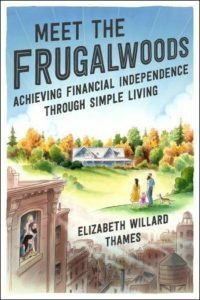 I first hard about Frugalwoods during Mrs Frugalwoods book interview on NPR, checked out the web site and signed up for emails. I thought about buying the book, however I’ve bordered on frugality for years and typically do not buy new books but I do treat myself to a book purchase when flying. Low and behold, I saw your book in a bookstore in the Newark Liberty Airport when flying in May! What a treat! I enjoyed your book immensely. Great reminders, new information and enjoyed reading your ‘back story’. This is such a fantastic book – I wish it had been around when I was 25; your words are profound, and it is having as much an effect on me as Your Money or Your Life (by Joe Dominguez and Vicki Robin). The introduction is amazing; this is a book I will be giving to some of the young people in my life. Thank You so much for writing it, and sharing your life and experiences with us! Finished up the book a few weeks ago and lent it to a friend already. Liz, really nice job. Seriously. I’d read enough of your blog to know I was interested, but the book was not only a fantastic memoir but a great introduction to FI for anyone who stumbles on it from another path. Very readable and entertaining. I love that you focused on success vs. happiness, that’s been a big theme for me. Enjoy seeing your work come to fruition! Take care. Thank you so much, Meg! I really appreciate it! I just got this from the library–Lawrence Public Library. I love the Jayhawk connection and I also grew up in StL–WGHS ’85. I enjoy your writing style and your family is lovely. I just finished reading your book. I wish I had read it when I was your age but, even if I’m 60 now, I will be following a lot of your advice. Thank you so much for sharing your experience through your blog and through a well-written book that I read in one afternoon. PS: Excuse me if there are any mistakes, I’m writing to you from Barcelona (Spain) and English is my second-language. I read your book in two days this weekend and although we already live frugally compared to most reading your story has me wanting to recommit to even more frugality (in the name of living our true values) in 2019. I am also in the middle of writing a book proposal after many years of blogging and so this is VERY encouraging. Thank you so much for sharing a bit about the behind the scenes and realities. I will remember this as I edit, re-edit, delete, and re-edit.